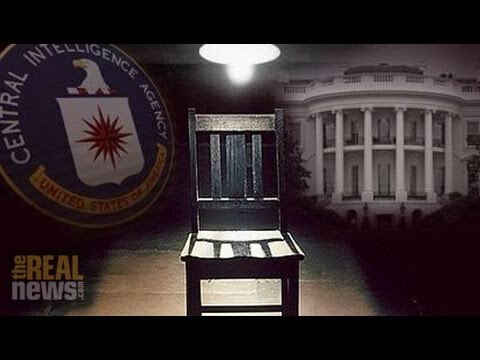 Why Did The CIA Really Use Extreme Torture? SHARMINI PERIES, EXEC. PRODUCER, TRNN: Welcome to The Real News Network. I’m Sharmini Peries, coming to you from Baltimore. One reason cited by the CIA for the extreme torture they conducted is that they were swept up in the urgency of trying to figure out who was responsible for the 9/11 attacks, also that they needed to find out quickly if there were going to be any further attacks on the U.S. But if you take the timing of the extreme torture tactics conducted by the CIA and the military contractors, it tells a different story. Here to elaborate on all of this is Patrick Cockburn. Patrick Cockburn is the author of the Jihadis Return: ISIS and the New Sunni Uprising. He is also a correspondent for The Independent of London. Thank you so much for joining us, Patrick. PATRICK COCKBURN, JOURNALIST, THE INDEPENDENT: Thank you. PERIES: Patrick, you wrote that CIA tortured al-Qaeda suspects because it wanted evidence that Saddam Hussein was linked to 9/11. What evidence do we have of that link? COCKBURN: Yeah, there’s fairly good evidence that this was a prime motive for torturing the suspects. I mean, one explanation given in the last week or so has been that the CIA and other security agencies were desperate to see if there was going to be a followup attack following 9/11. But this doesn’t really ring true. The time they were torturing people was the end of 2002, March 2003. It was the runup and the beginning of the invasion of Iraq. And this is confirmed by people, doctors and others, who were at Guantanamo at the time or were intelligence officers who are well informed about what was happening and why, and they say, yes, that there was concern that there might be a followup attack. But the pressure from the top and the second reason they were torturing people was a desperation to get a link between al-Qaeda and Saddam Hussein, which didn’t exist and the CIA could have told the Bush administration early on didn’t exist, because the jihadis in Iraq were blood enemies of Saddam Hussein–he had a lot of them in prison. So it was never likely to be there. But there had been various sort of propaganda efforts. There’d been various articles in influential magazines in the U.S. saying that there was a link between al-Qaeda and Saddam. So this was certainly a prime motive for torturing these people. PERIES: So this was a time when the Bush administration was preparing for war, shock and awe in Iraq, which some people link to the oil business that the Bush administration came from, rather than the 9/11 attacks. It is a time when they were also looking to prove that Saddam Hussein had weapons of mass destruction. Can you elaborate on this for us? COCKBURN: That’s correct, yes. These were the two justifications for invading Iraq. And the al-Qaeda connection, although it was kind of absurd to anybody who knew Iraq or knew anything about al-Qaeda and indeed was an invention–but it convinced a lot of people at the moment of the invasion of Iraq–polls show that a majority of people in America thought there was some connection between 9/11 and [Saddam Hussein], that there was a connection. Other polls showed there was a connection between al-Qaeda and the Iraqi government. And there were other efforts, which have since been exposed. There was meant to be a meeting between one of the leaders of the hijackers on 9/11 with an Iraqi in Prague, in the Czech Republic. This was exposed as being false, because the guy, Mohamed Atta, was, I think, in Florida, was in the United States at the time, and his calls were recorded and so forth. So it just couldn’t be true. But there was a very sort of strenuous propaganda effort to prove the connection, and it very largely succeeded at the time. PERIES: Right. The propaganda machine was so severe that they were going to go into the extent of breaking international laws and national laws in order to obtain this information. Is there evidence in the torture report that alludes to or supports the position that you are taking here? COCKBURN: Well, there is in a report, but there’s a report that people have forgotten about, which is another Senate report. I think it was the Armed Services report, in a Senate Armed Services report in 2009, that has this very interesting information, quotes from a doctor in particular who was at Guantanamo, who was interviewed by army investigators in 2006 at the instigation of the inspector general. So there’s evidence there as to what has happened. But the present report avoids going into the issue of motivation, unfortunately, and focuses on what happened and the gruesome details of what happened. So people haven’t really been looking at the motivation. And I think that the CIA, in their public statements, have been again and again emphasizing the [incompr.] after 9/11, the need to see if there was going to be followup attacks and so forth, and they’ve shied away from this very important other motive, perhaps more important other motive, for torturing people and trying to extract confessions saying, yes, indeed there was this connection. And if you look at the dates, which are known for the maximum torture of suspects who were tortured the most, then it fits in with the timescale of the invasion in 2003 and not with any urgency in seeing if there was going to be a repeat of 9/11 or some more limited followup attack. PERIES: Right. And does that timeline, in terms of the torture, does it decline after 2003? COCKBURN: No, it goes on afterwards, because I think once you’ve started things like that, they get their own bureaucratic momentum. They still would–it was in the interest of the administration to prove a connection between Saddam and al-Qaeda. And I think that has more to do with bureaucratic momentum, the fact that the people in charge, they’d been outsourced to contractors, who are making a great deal of money, wanted to continue, and said, this is being very effective, although Senator Dianne Feinstein said, after the report was issued, has gone on saying there’s absolutely no evidence that this produced the sort of useful information which the CIA claimed. But I think that there’s been an evasion of looking at the justification for the Iraq invasion, looking for confessions from al-Qaeda suspects as a way of establishing this very unlikely link with Saddam, that this–it has been referred to a little of the media, but generally important though it was, and demonstrably was, there’s been not enough focus on it. PERIES: Patrick, thank you so much for joining us and shedding light on this aspect of the report and the rationale for torturing, and thank you for joining us on The Real News Network. COCKBURN: Thank you so much.